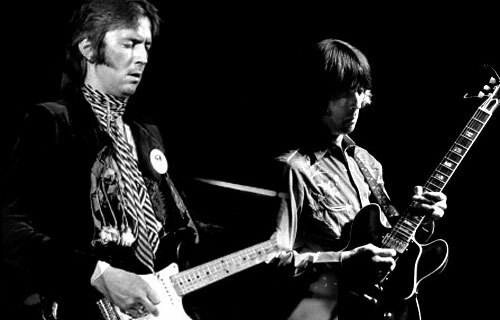 Every now and again I say to myself, "I need to listen to more Eric Clapton." And I am never disappointed. For some reason Clapton feels underappreciated, or maybe it's just in the circles I hang out with. Which is odd, because I generally hang out with classic rock fans. In fact, one time when we were watching "Concert For Bangladesh" we decided to drink every time there was a shot of Clapton. The joke continues to this day, for every time we're together and see Clapton, somebody yells "Clapton!" I can't quite figure out why Clapton is underappreciated. For gosh sakes in the mid-60's people held signs saying "Clapton is God," and that was when he was in his early-to-mid-20's, before his massive success with Cream and Derek and the Dominos and as a solo artist. Maybe because he's all-but-stopped touring the last few years (arthritis from playing guitar like that for 50+ years a significant reason, methinks). I think a key reason is that he's barely on the radio, classic rock station or not. Why is Hendrix on the radio and Clapton isn't? Because Jimi is dead and Eric isn't is my theory. Anyway, if you haven't listened to Clapton in a while, do so, because he's 72 and about to retire. Consider this a list of underplayed Clapton songs you need to listen to ASAP. Fast forward 15 years later, when I got a copy of Clapton's later "Greatest Hits" CD. There was the acoustic "Layla," and you know what, it's pretty good. It doesn't make me run screaming for the original and that co-solo with Duane Allman like it once did. Seems like a song for our times. I'm not cheating here, because I'm making the list. 461 Ocean Boulevard is my favorite fully solo EC album. In the 70's and 80's EC and a lot of similar artists put out extremely forgettable albums except for one song, maybe two at the most. Considering 461 was made just after EC kicked his heroin addiction and re-dedicated himself to music, it's full of great covers and a few originals that show how much he was enjoying his newfound sobriety. From "Motherless Children" through ""Give Me Strength" (the original CD release adds that 11th track- a subsequent re-release puts "Give Me Strength" on disc 2), it's fantastic. I don't particularly like "I Shot the Sheriff" and "Let it Grow" on their own, but on the album in context they work out quite well. Two sides of the same coin, off EC's 1989 "Journeyman" album. They sound rather similar, they both hit number one... and they're both nowhere to be found on the radio today. They're too "classic rock" to be on the 80's stations, and they're too "80's" to be on classic rock stations. ("Bad Love" features Phil Collins, which is also a factor.) But you damn well know that if they were made by anybody but Clapton, they'd be on both. I'd rather hear these than anything by Ratt or Frankie Goes to Hollywood every day of the week. 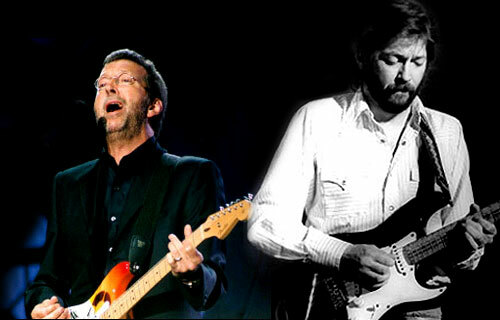 You may be wondering why I'm including one of the most famous Beatles songs ever on a list of underplayed Eric Clapton songs, because his guitar solo helps make it that good. That's because you never hear this unless you listen to The White Album. It's not on any Clapton compilation album because Clapton and The Beatles are on different record labels. So while it should be on every "Best of" Clapton album, it isn't. And because it was never released as a single (think about that for a minute) it can't be on the Beatles "1" album or any compilation like that. So yes, "While My Guitar Gently Weeps," is one of the best Beatles songs and Clapton songs AND is almost impossible to find. The only compilation album it's been on (aside from the over-stuffed and basically unlistenable "Blue" Beatles) is "The Best of George Harrison," an irrationally slim volume that's not even close to "The Best" of anything George did, released in haste when the Beatles EMI record contract expired in 1976. In the late 1990's the music documentary really took off with VH1's "Behind The Music." The premise was to showcase artists that were kind of forgotten at the time (the Fleetwood Mac and Mamas and Papas episodes really stood out to me. It was also the inspiration for this sketch you may have seen.) They also launched another show, now mostly forgotten, around the same time for artists you knew, but weren't 100% aware of their history, called VH1's Legends. The EC show used a clip of "Tales of Brave Ulysses" and explained that shortly after EC used the wah-wah effect on the song- the first time on a major rock recording- some up-and-comer named Hendrix took the effect and ran with it to new and amazing heights. The "Tales of Brave Ulysses" clip threw me to the wall. It was astounding. Though I was short on dough at the time, the next day I scoured the stores and found "The Best of Cream" with "Tales of Brave Ulysses" on it. Very worth it. Still have it. George proposed this song for The White Album before "While My Guitar Gently Weeps" and the boys worked on it hard, going some 99 takes in various forms. George then put in some six hours in the studio by himself on the electric guitar parts. It didn't make the final cut because John Lennon didn't like the lyrics talking about not upsetting the Apple cart and things like that, which would have blown the band's growing discontent with each other out into the open. Producer George Martin said if it had been up to him, he would have put it on the album, no question. "It has long been rumoured that a certain well-known guitarist featured on this recording." From the first time I listened to it I was certain that a certain well-known guitarist featured on this recording. Decide for yourself. At worst, George's playing was inspired by Eric. At best, it's a secret between you, me, and Geoff Emerick. Derek and the Dominos "Live at the Fillmore" is only 12 songs, but it's nearly two hours long. Tremendous jams. "24 Nights" is also very good from the Journeyman era. Track down Clapton's two discs of covers of one of the biggest influencers of all time, Robert Johnson, the bluesman credited with being the first rock'n'roller back in the 1930's. "Me and Mr. Johnson" and "Sessions for Robert Johnson" are worth it for any EC fan and of the history of rock'n'roll. "Concert For George," should be a no-brainer. He's not on stage for one or two songs, he's there the whole way, playing with Tom Petty, Jeff Lynne, Sir Paul, etc, etc, etc. "The Road to Escondido," a mellow collaboration with good friend J.J. Cale. That oughta hold you for a while. Underappreciate Clapton no more.